Who likes contests? I sure do! after all, who doesn’t..
Update: I won the contest and the wine fridge!! 🙂 My award winning sandwich will be featured at the Emmi cheese event in NYC on Sept 20th 2014. Okay so let’s step aside for a moment and talk about this beautiful cheese. 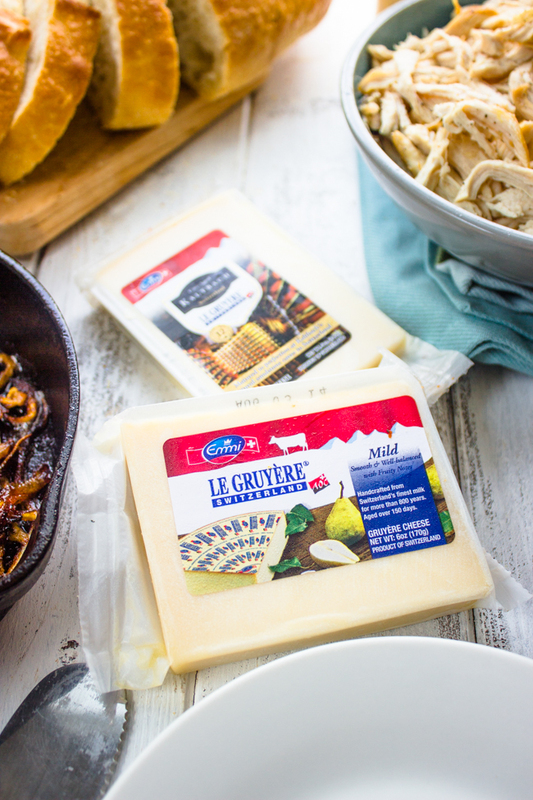 If you thought you’ve tasted good cheese, think again! 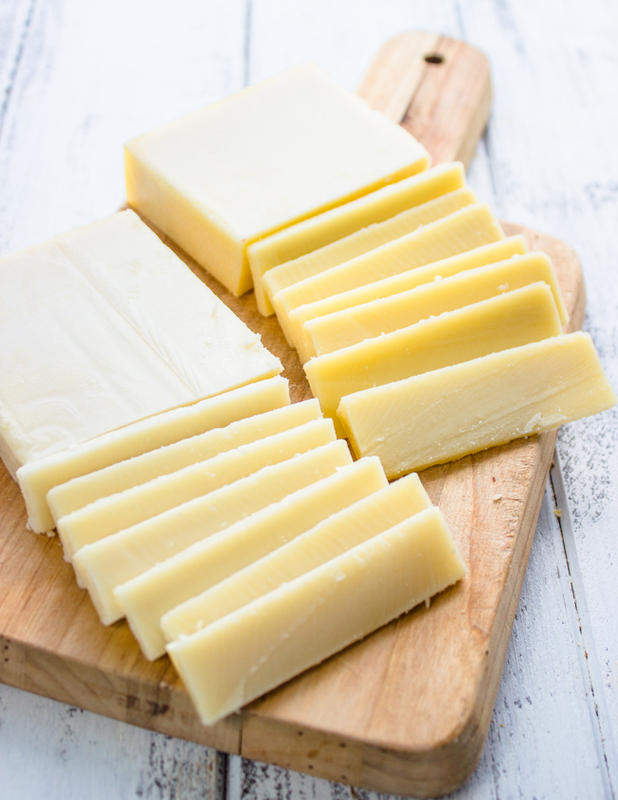 The Le Gruyere is fantastic and goes well on sandwiches, in pastries and dips! It has a very dense and smooth with a sightly flaky texture that literally melt in your mouth. It’s unbelievably good! 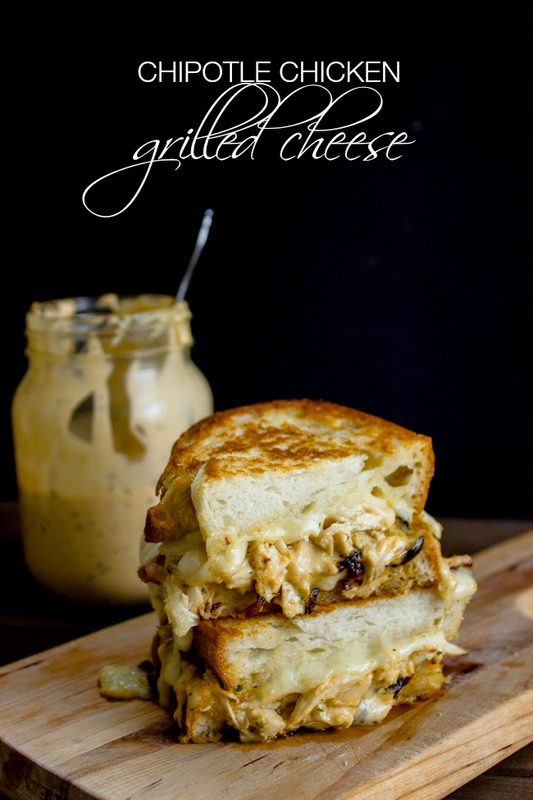 For the contest I decided to make a chipotle chicken grilled cheese sandwich because the chipotle pairs very well with the cheese. Seriously the best sandwich EVER! I’ve had a ton of grilled cheese in my life but nothing anywhere near as good as this sandwich! 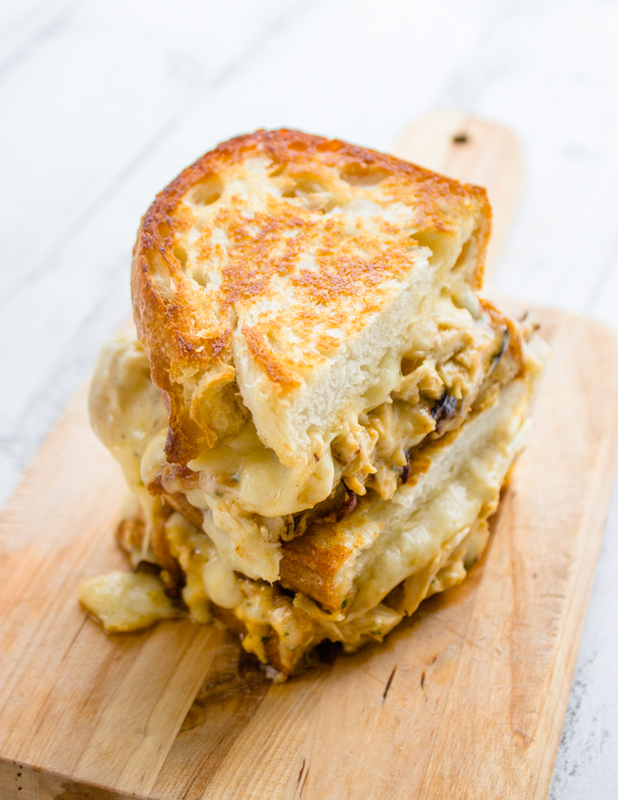 This is an “adult” version of a grilled cheese and is packed with tons of cheese, shredded chicken, caramelized onions and my special homemade chipotle sauce. 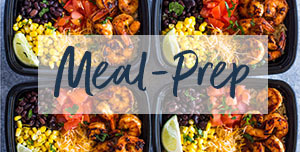 The chipotle sauce is super easy to make and can be stored in the fridge for weeks. Once you taste it once it becomes kind of addicting because it has a spicy and creamy flavor. 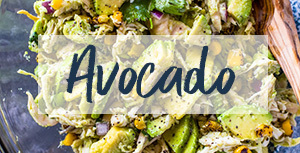 You basically whip all the ingredients for it in the food processor and that’s it! Look at that cheese melt.. Kills me every time! Looks like I need another sandwich! 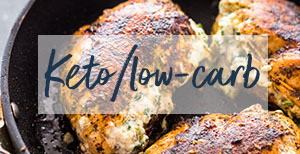 This recipe requires 1 cup of shredded chicken. 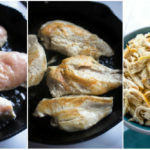 You can use any type for pre-cooked shredded chicken you may have on hand or you can use my quick and easy recipe for making shredded chicken. 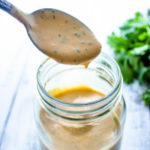 To make the chipotle sauce: place all ingredients in a blender or food processor and puree until smooth about 2-3 minutes. Refrigerate until ready to use. Heat a small pan to medium heat. Add the butter and onions, allow to gently cook for 15 minutes or until caramelized. Heat a small heavy duty pan to medium/high heat. Add 1 teaspoon oil, chicken cutlet and salt+pepper. 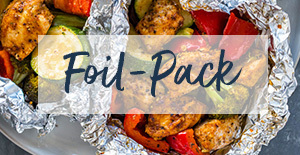 Allow to cook for 2-3 minutes on each side or until golden in color. After both sides are golden add 1/4 cup water. Reduce heat to low and simmer for 5 minutes. Remove into a bowl and allow to cool. When cooled shred using 2 forks or with your fingers. Heat griddle or pan to medium heat. 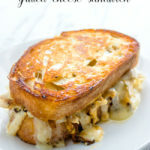 Add 1 teaspoon butter, place sandwich on griddle and cook on each side for 2-3 minutes or until the cheese is fully melted and the bread is golden and crispy. Serve warm! 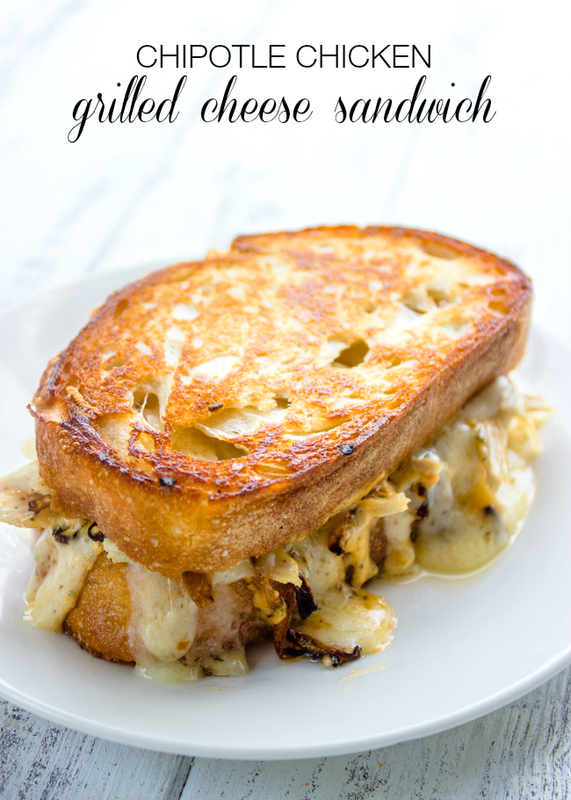 Most amazing grilled chicken and cheese we have ever had. 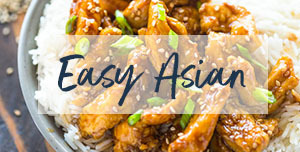 easy and fast to make. So happy you enjoyed this dish, Debbie! Thanks for elevating a classic american sandwich to a brand new level. 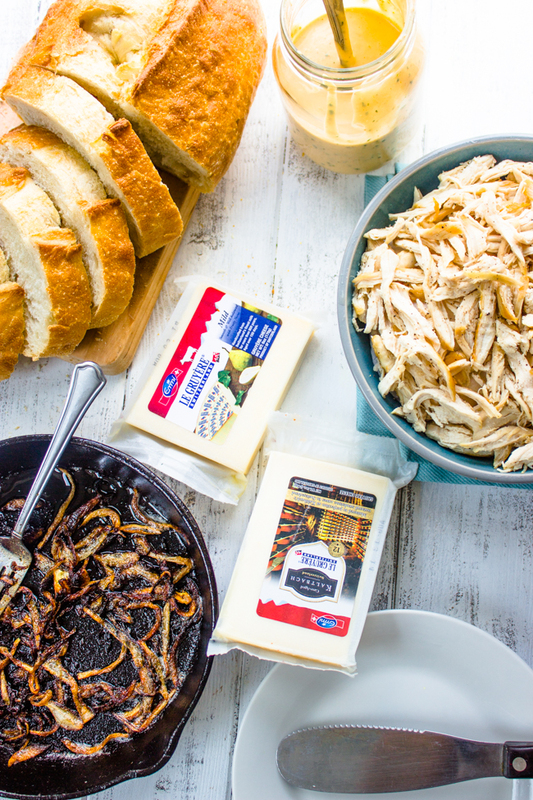 We are grilled cheese addicts in our household and this addition of chicken with a tex-mex twist is going to be a hit at our kitchen table! Layla what kind of bread did you use for this sandwich.Please mention it . I used sour-dough bread but any type of crusty bread will work! I made this sandwich last night and it was amazing!! I didnt make the Chipotle sauce though, i could not find the Chipotle in adobo at my local store, so i used some Chipotle mayo added a little Siracha and cilantro and it came out perfectly spicy! And i just bought a rotisserie chicken…took me all of maybe 10 minutes to whip together. So good thanks for sharing! Sour-dough but any type of crusty bread will work. May I ask what sort of bread you used? Like you, I enjoy grilled cheese sandwiches. Anyone could pretend to like watching football with one of these in hand! thanks for sharing, Layla! 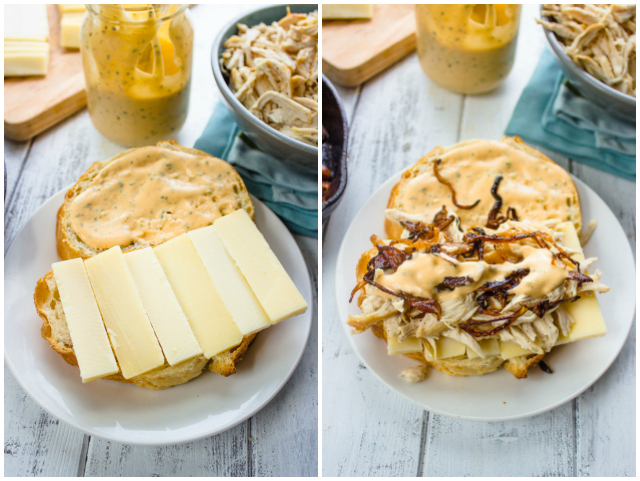 I made these sandwiches for dinner tonight and they were A-MAZ-ING! We especially enjoyed the chipotle sauce. I used one chipotle and doubled the amount of adobo sauce. I think it could have been even a little spicier, so next time I’ll use 2 peppers. Really delicious! I just made this and it was a lot more time consuming than I anticipated. The sandwich was really, really heavy. If you like heavy, fatty flavors then you will appreciate it. I personally wouldn’t make it again. My boyfriend recently requested that I plan more sandwich recipes for dinners during the week and this was one of the first I added in. We both loved the sandwich! 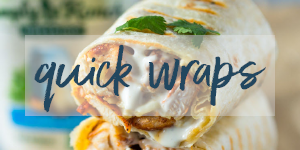 The chipotle sauce was perfectly spicy and flavorful and your method for shredding the chicken is the best we’ve found yet! Thanks for sharing! DUDE. This was AWESOME! 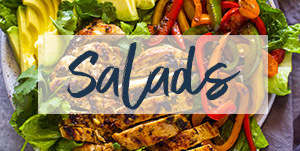 Because I’m super lazy, I made chicken salad using your chipotle sauce, which is GREAT, because now there’s tons of delicious, smoky, spicy goodness waiting in my fridge to make more samiches. Omgosh your photos are so bright and beautiful!!!! Your sandwich sounds absolutely amazing–I hope you win!! 😉 But seriously, you deserve it. This is one beautiful sandwich!! That is one of my favorite cheeses! Your sandwich looks amazing! Hi Layla, wish you luck, this grilled cheese looks amazing, it is perfectly cooked and the ingredients sound wonderful together. Good luck on the contest Layla! This sandwich looks incredible! I can’t get over how amazing the ooey gooey cheese looks and the chipotle sauce sounds sensational! This looks amazing Layla! You’ve got skills girl! Definitely need to try this ASAP. Oh yum!! This looks fantastic!! We have been grilling a lot of sandwiches this summer. This looks like an awesome one to add to the rotation! This sure looks like a winner to me! You can’t go wrong with chicken and cheese and some spice! That looks amazing. My poor sammich doesn’t stand a chance, which is just fine by this mouse 😀 Stay cheesy! Thanks Robin! 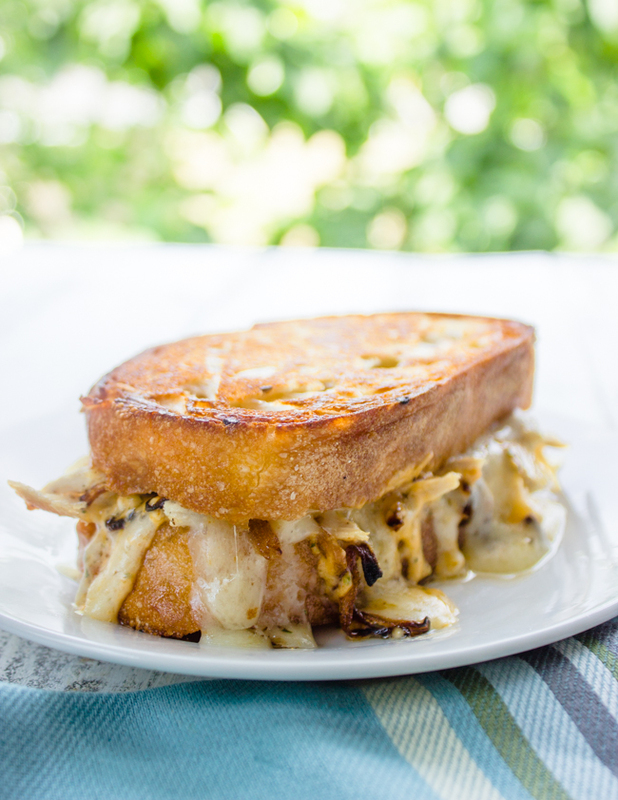 Your HM Medley Le Gruyere Grilled Cheese looks delish! Good luck! Fingers crossed that you win! I mean, I’m sure you will, because this is the most delicious sandwich I’ve ever seen! ALL THAT CHEESE OH MY GOD. And then chicken. And chipotle sauce. Nop, this couldn’t get any better! Drooling big time over this! Good luck in the contest…I think you’re a shoe-in! Wow, this looks like an AMAZING grilled cheese! 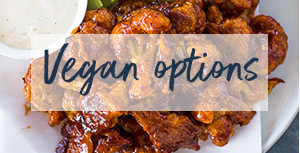 Love the added touch of the chipotle sauce, yum! This sandwich is seriously so epic, I can’t even stand it! The perfectly toasted bread! The gooey cheese! I don’t know how you can’t win with these!!! Good luck! !